Educational Services of America (ESA), the nation's leading provider of behavior therapy, Pre-K-12 alternative and special education schools and programs for students who are at risk of dropping out and for students with special needs, announces the promotion of Woodbury native Melissa Harrell-Frey. She is the daughter of Charlie and Dell Harrell of Woodbury. Harrell-Frey has been promoted from vice president and corporate controller to senior vice president and corporate controller. Since joining ESA in 2006, Harrell-Frey has worked closely with Whitfield and will assume many of his previous responsibilities. She brings 20 years of experience in financial management and financial operations to her new position. 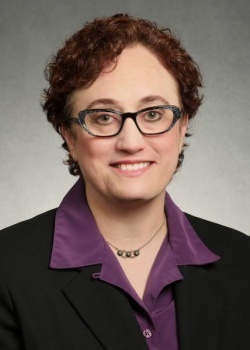 She earned her accounting degree from Lipscomb University in Nashville, and, since 2010, has served on the 10-member Prophix Software Customer Advisory Board to provide input about product development. Harrell-Frey will now serve as a member of the ESA Executive Management Team. "Melissa's vast experience in financial operations will continue to play a vital role in our organization's continued growth," said Mark Claypool, president and CEO of ESA. "I appreciate her dedication and commitment to our company, which provides personalized, evidence-based educational services to approximately 14,000 children across the country each year."